Our shipping teams will have your order processed and prepared for shipment within 1–2 business days. Once your order has shipped, you will receive an automated email including your tracking number and a link to the tracking information. United States: Free-shipping deliveries take 5-7 business days on average, depending on distance. Fulfillments for expedited shipments take 1-2 business days. Once it has gone out for delivery, your package will arrive within another 1-2 business days. Expedited shipments are normally completed within 1-3 business days. Moshi will automatically poll multiple shipping carriers in order to ensure that you have the lowest price possible based on your order and location. We do not inflate the cost of shipping. EU: The delivery time for EU orders is 1-8 business days but differ depending on the country. Please enter your address during the checkout process to see a more detailed delivery time for your country. For all our EU customers (including Norway and Switzerland), all orders above €45/£40 are eligible for free shipping. Canada: Canadian customers should expect 1-3 weeks for delivery. In general, shipping takes about a week. However, in some cases, delivery may take longer due to delays in international sorting facilities and customs. We currently offer shipping to Canada at a flat rate of USD $15. Moshi does not deliver to US territories, PO boxes, APOs, or FPOs. 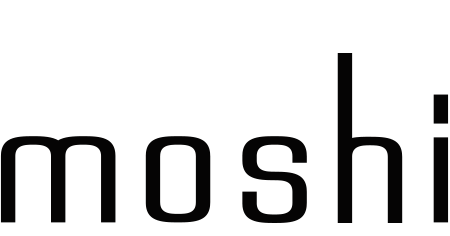 Moshi will not ship to international mail-forwarding services. Orders to these addresses are generally canceled and refunded. Customers will receive a note with their credit memos to notify them should this happen. Our web store accepts all major credit cards including: Mastercard, Visa, Discover, and American Express. Other forms of payment are not accepted. Please note that the billing address for your order must exactly match your billing address as it appears on your credit card statement. Please email us at support@moshi.com and include your name and order number. Our staff will then reply within 1-2 business days with a "Return Merchandise Authorization" (RMA) number, which is required to return the order back to our Service Center. Please note that shipping charges are not refundable, any returned item must be returned in its original packaging and that we will not accept any returns if the product is damaged or missing accessories. Moshi also does not cover any costs for the return. After we receive the returned item, please allow 7-10 business days for processing. Refunds will only be credited back to the original credit card used for purchase. Please allow a complete billing cycle for the credit to appear on your credit card statement.